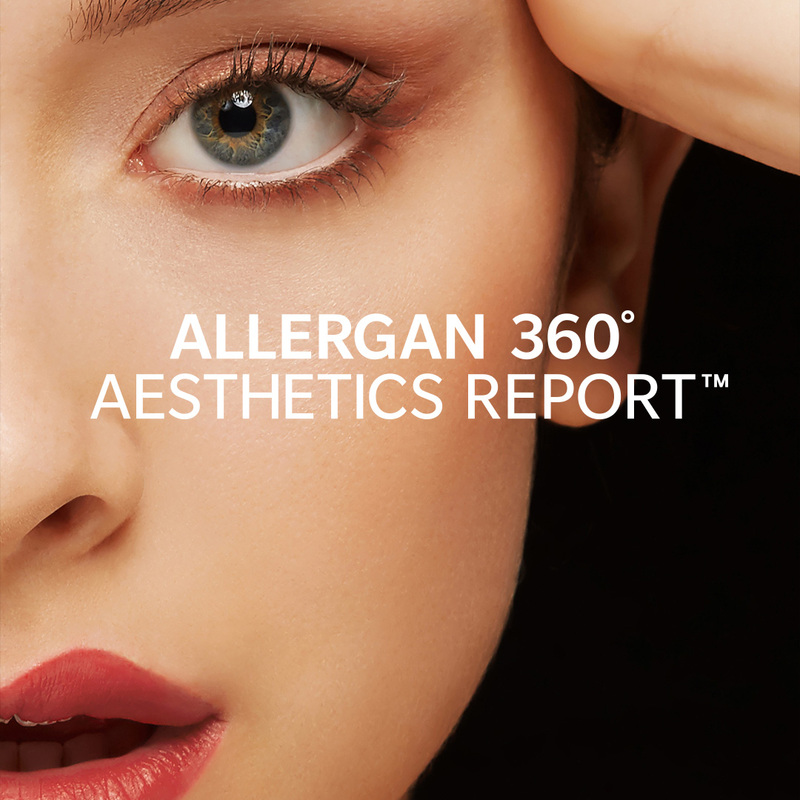 DUBLIN, April 8, 2019 /PRNewswire/ -- Allergan plc (NYSE: AGN) today released the results of their first-of-its-kind worldwide medical aesthetics study, titled the Allergan 360° Aesthetics Report, exploring the mindset and motivations of aesthetically conscious consumers across a variety of ages, races, cultures and genders, as well as the physicians who treat them. "Allergan is proud to have undertaken one of the most far-reaching and authoritative studies ever conducted on the subject," says Brent Saunders, Chairman and CEO of Allergan. "As a company with worldwide awareness, reach, and brand affinity, we are in a unique position to identify and report on trends and drive change in the medical aesthetics category. It is our responsibility to better understand the perspectives and needs of the patients and physicians we serve, as well as continue to educate consumers." Results indicated that consumer interest in medical aesthetics is at an all-time high, but there are significant gaps between what consumers and practitioners expect from treatments. "As physicians, there is much we can learn about our patients from the Allergan 360 Aesthetics Report – from how beauty is defined across cultures to how women and men around the world prioritize and go about achieving their aesthetic goals," says San Diego-based dermatologist Dr. Sabrina Fabi. "We know there is an increasing desire for knowledge about facial injectables, skincare, and body treatments, and this eye-opening report will ultimately lead to more informed and honest conversations between practitioners and their patients." In an age where social media is prevalent and filters are the new standard, digital platforms have become a forum for beauty conversation and discovery. "As with everything else that has evolved in the cosmetic industry, so too have aesthetic patients in being more mainstream, reaching out through social media, and using before and after photos as references," says Montreal-based plastic surgeon Dr. Arthur Swift. "They are more educated than ever, since the digital world has enabled a constant flow of information when using these platforms for research. Regardless of the changing landscape, there still needs to be a responsible degree of education from treating physicians." "When the question is no longer 'if' I should consider treatment, but 'when' I should consider it, the conversation with the physician changes," says Dr. Fabi. "In the past, we saw patients for aesthetic treatments before a big event such as a wedding or reunion, whereas now we see them on a more regular basis, and they use words like 'preventative care'." Global perspectives on aesthetic treatments are shifting and consumers are more motivated to make changes as part of their lifestyle choices. "We are a maintenance-focused society. The same people who are committing to monthly gym memberships and private sessions with trainers are requesting body contouring procedures when they come in for their facial injectable treatments," says Dr. Swift. 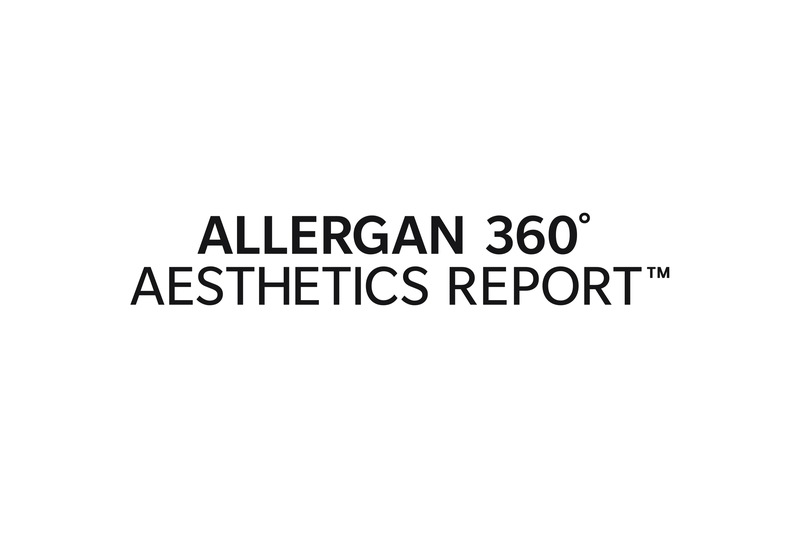 Visit 360aestheticsreport.com to access the full Allergan 360 Aesthetics Report, providing a deeper look at the differing perspectives and attitudes across the world.